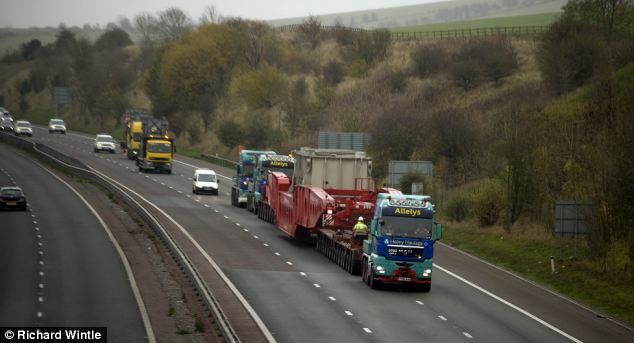 Traffic came to a standstill for the biggest load ever transported on Britain's roads that weighed in heavier than a space shuttle. 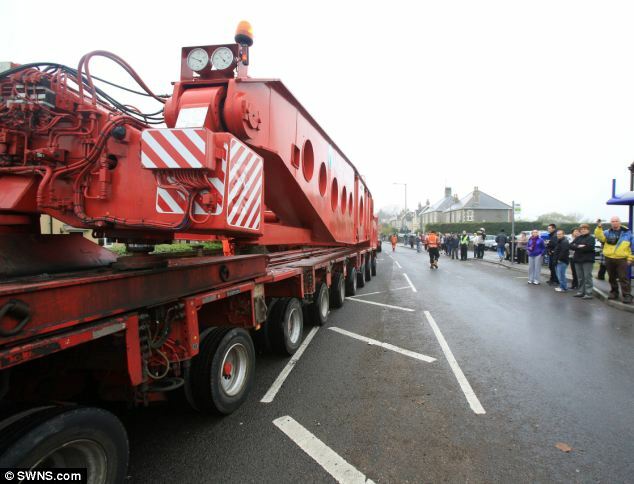 The giant transformer and specialised transporter vehicle tipped the scales at an earth shattering 640 tonnes. 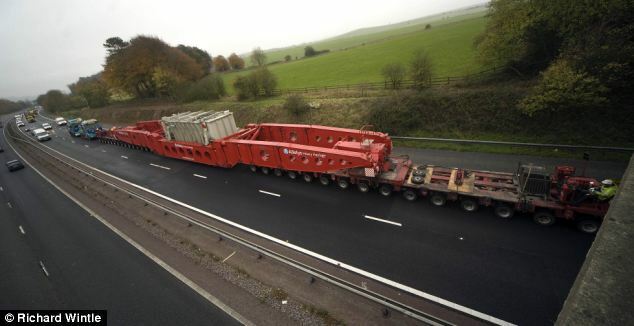 The enormous vehicle was 100m long and 5m wide and took up two lanes of the motorway while it crawled to its final destination at just 4mph. 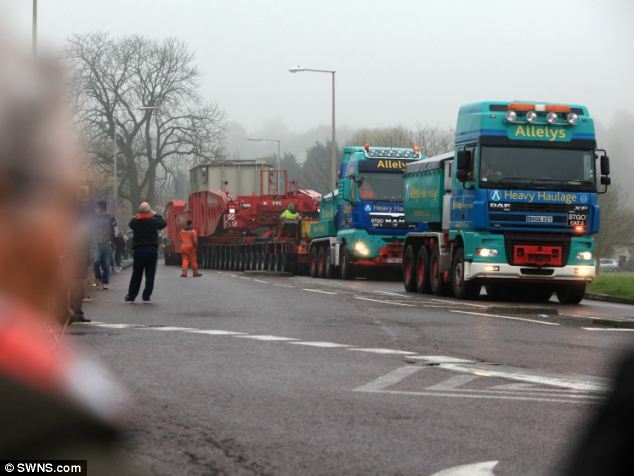 The convoy began its slow journey from Didcot power station in Oxfordshire and caused 13-mile long tailbacks when it wound its way along the M4. 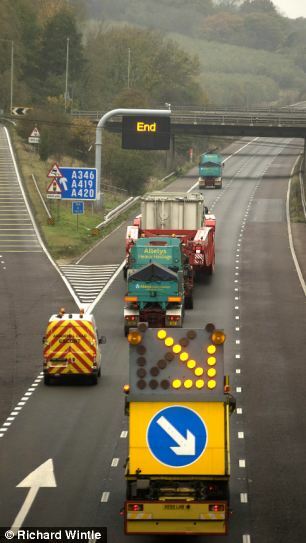 It continued along the M32 to the transformer's final destination at Avonmouth Docks, Bristol. 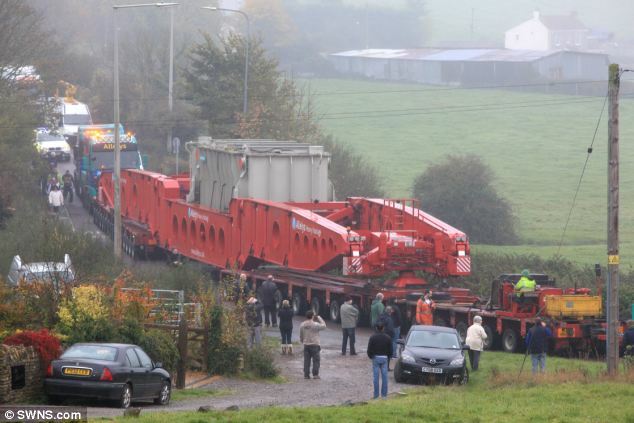 The transformer will next be transported by sea to a Siemens plant in Germany. 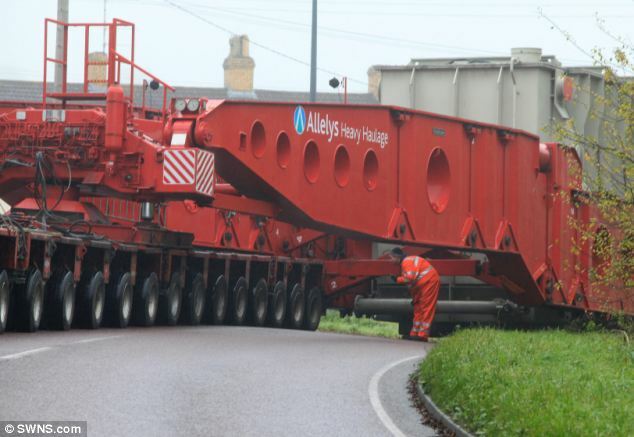 Police officers escorted the load at the expense of the haulier, Allelys Heavy Haulage. 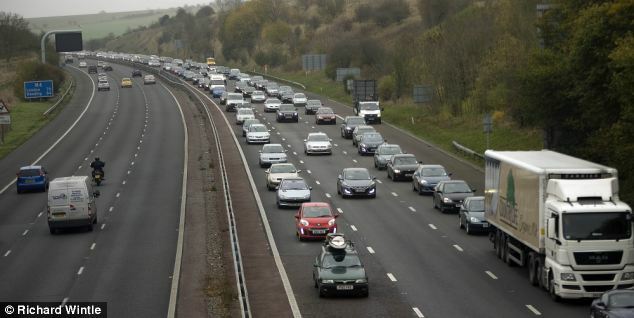 A spokesman for Wiltshire Police said: 'Police vehicles had to ensure the road and traffic ahead was managed to ensure there was no conflict with the load. 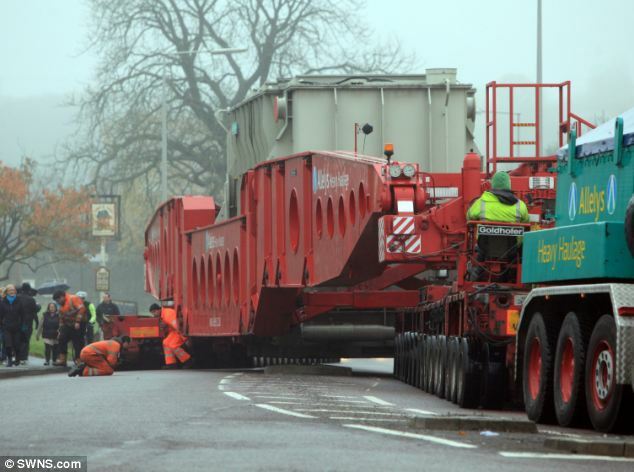 The generator transformer is the second and largest of three being removed from Didcot power station as part of its decommissioning programme. The first was moved at the beginning of November. Didcot, a coal fired power station, was disconnected from the National Grid in March after 43 years of service.